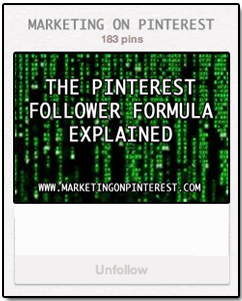 In my Scientific Advertising On Pinterest #4 post I shared my ‘formula’ for Pinterest followers, based on research I did on the most influential people on Pinterest – as reported by Pinreach.com. But I didn’t include 2 key elements that impact your followership. And, I didn’t mean to imply that your followers will equal your pins 1 for 1. Just that there is a connection between the 2 numbers. When you divide one by the other you get a number, like 1.8 or 2.4. I call that number the Pinterest Popularity Number. The actual number will vary, but everyone can do this calculation. 1. Your Popularity on other social media or traditional media. 2. Niche centricity…how niche centric are your pins? Followers equals the number of Pins/Repins you’ve done multiplied by your popularity on other sites – multiplied by the niche centricity of your pins. 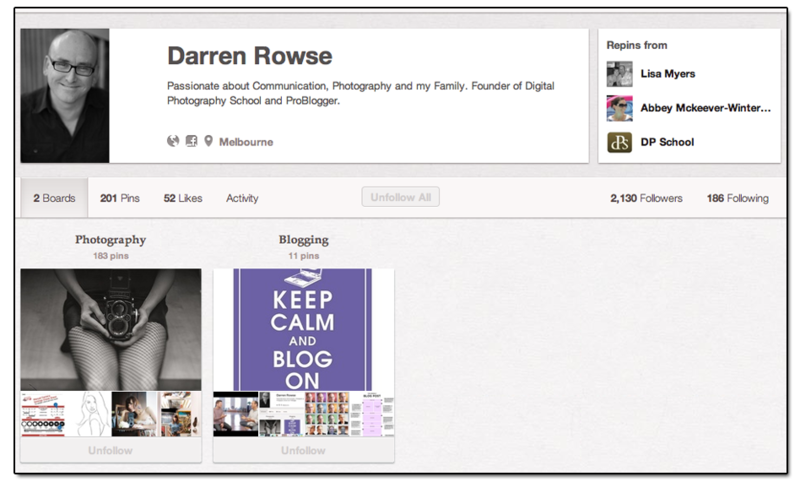 Darren has pinned 201 items, on to only 2 boards, and he has 2,130 followers. A Pinterest Popularity Number of 10.59. Compared to my Pinterest Popularity Number of 1.69. I’m pretty sure I just handed someone a great Pinterest related web-business concept… build a site and display people’s “Pinterest Popularity Numbers”. Boom. 2. Target a specific niche. 3. Leverage the power of your popularity on other social sites/blogs/email marketing.